Rugby football, often just referred to as rugby, refers to sports descended from a common form of football developed at Rugby School in England. The two major sports are rugby league and rugby union. The game is played between two teams of 15 members each, on a rectangular field 110 yards long with goal lines and goal posts at either end, the object being to run with an oval ball across the opponent's goal line or kick it through the upper portion of the goal posts, with forward passing and time-outs not permitted. Suffolk Bull Moose Rugby Football Club - Founded in 2002, Suffolk Bull Moose host a men's, women's and U19 club teams. The team's mission is to promote and develop rugby at all levels in a professional and well-informed manner as an integrated and visible member of the local community. Suffolk Bull Moose RFC is a non-profit organization based on Long Island in Central Suffolk County, New York. Montauk Sharks - Founded in 1973, host a men's team and is establishing U19 and women's teams. The team is based in Eastern Suffolk County in Montauk, New York. Long Island Rugby - Founded in 1972, hosts a U19 and men's clubs and is establishing a women's summer side. The team is based in Long Beach, Nassau County, New York. Metropolitan New York Rugby Football Union The Union governs more than 80 men's and women's clubs, college, high school and youth rugby teams in Northern New Jersey, Metropolitan New York, Long Island and Fairfield County, Connecticut. Hofstra University Men's / Women's Rugby Club - Hofstra Rugby is a competitive sport. The club plays against other university clubs along the East Coast and local men's/women's clubs. 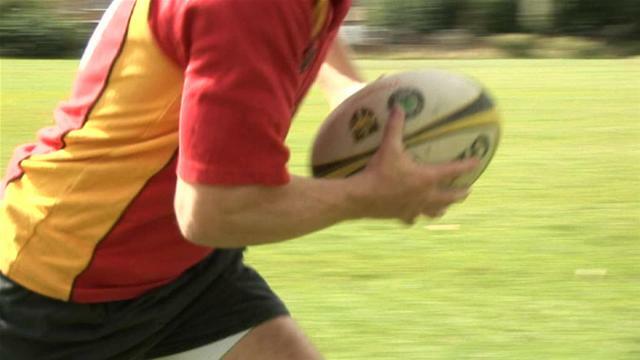 The club teaches inexperienced players the game of rugby and improves the skills of experienced players. Molloy College Men's Rugby Club - Molloy's rugby team was established to promote interest in rugby and to compete in local events with other institutions. This club also serves to permit those not on an NCAA team to participate in a competitive sport. SUNY Stonybrook Men's & Women's Rugby Club - Coached by members of Suffolk Bull Mouse Rugby Club, is committed to developing the sport of rugby in Suffolk County New York.